Many of the Crimson Crave writers were fortunate enough to trek home for Thanksgiving break. And who wouldn’t when there’s turkey involved? Well, maybe it’s a little more than just the turkey calling us home. We decided to put this article together during our last meeting, when we realized that each of us was looking forward to our thanksgiving meal for entirely different reasons. Every family has that one dish that makes their meal special (I bet you’re thinking of yours right now), and we wanted to share ours with you. 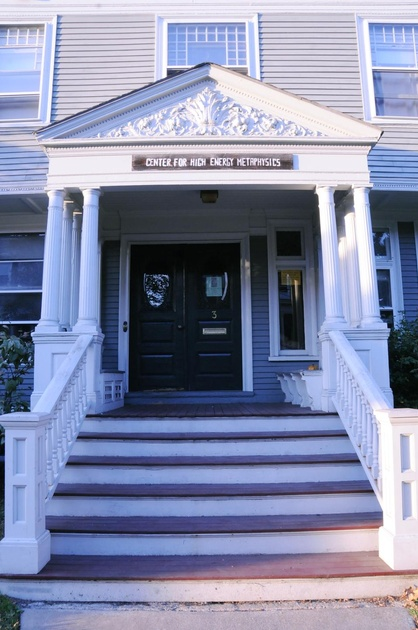 Also, like many Harvard students, some of our writers were unable to go home for the short break. 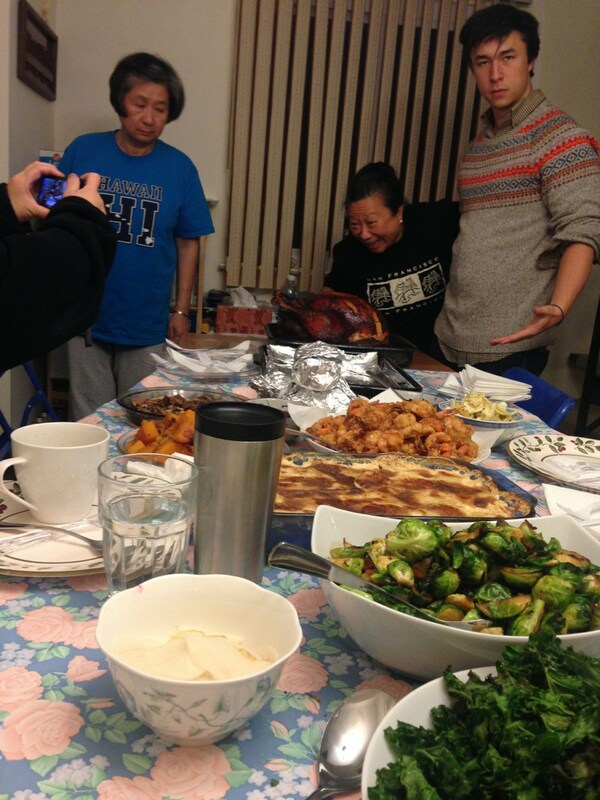 In this way, we also feature in this article what our writers were eating at their Harvard home during the break. Not to make things mushier than mashed potatoes, but we just wanted to say how thankful we are for all of our awesome readers out there who read our posts each week. We really appreciate your support as we continue to expand the blog, and we are looking to host a couple of events next semester so we can offer our readers more than just pictures of food. That’s right, real food is on the way. Check out the blurbs below to get a little taste of our first-ever Crimson Crave Thanksgiving! After my mom and I finished baking pumpkin and apple pies, a flourlesschocolate cake, and a pumpkin roll, my six-year-old brother decided he wanted to chip in to our Thanksgiving dessert collection too! With a little bit of help on the frosting end, he decorated his own turkey chocolate cupcakes for all the kids (with blue eyes for the boys and pink eyes for the girls of course). One of my mom’s signature dishes, and a family favorite, is her sweet potato casserole which is pictured here as well. Even on arguably the most American holiday, the Ferrantes can’t abandon their beloved pasta. No need to be alarmed, we still have turkey and all the fixings, we just save all of that for last. Every year, I look forward to the warm broth of our first course, pastina and spinach soup. This tradition has been around longer than I have, and I could not imagine our feast without it. Homemade cinnamon rolls are another favorite and staple of our Thanksgiving meal; since my mom started making them a couple years ago, the rolls have more or less become the second course of our Thanksgiving meal. They always seem to come out of the oven while my aunt is carving the turkey, so we usually devour them as we anxiously await the main course. Thanksgiving wouldn’t be complete without trying something new with the turkey. In years past, my family has fried, grilled, and baked the turkey, but this time we decided that there’s more to a turkey than white meat and dark meat. This year, we experimented with the giblets! 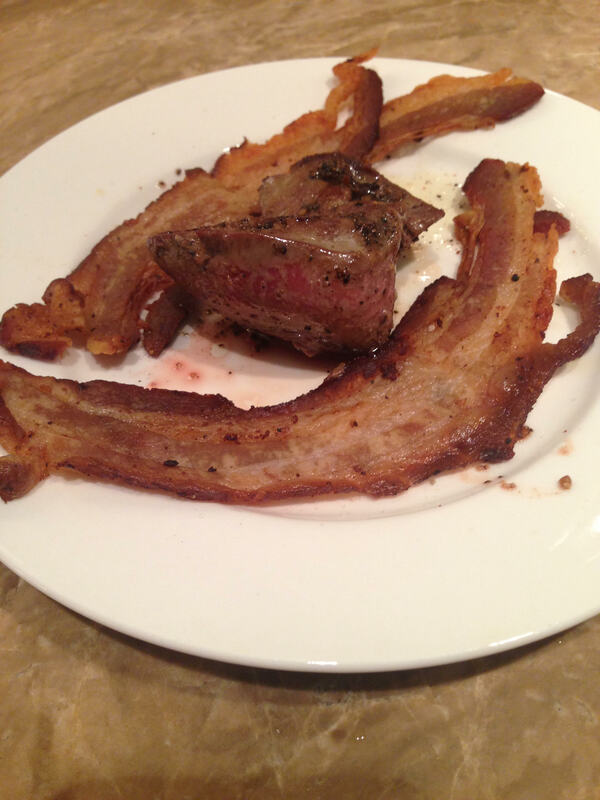 We fried up the liver of our 17lb turkey, along with some sautéed onions and bacon — and it was actually pretty good! Even my 7 year old brother and 3 year old cousin tried it and liked it…and that’s saying something! My family lives in Beijing, which makes going home for a three day break completely irrational. I would say “Hi, family,” only to immediately turn around for the seventeen hour flight home. So, I spent the long weekend in the company of friends on campus, including Katey, a friend of mine from Williams. I started off the break with a five-hour-long movie marathon with my blockmate Christine. We watched all of Richard Linklater’s “Before Sunrise” series in a row. It seemed like the thing to do on Thanksgiving Eve. On Thanksgiving day, Katey and I headed to Adams House for the all-day Thanksgiving meal, which was surprisingly well done and included carved turkey, ham, plenty of breads and pies, and apple cider. My favorite part of the meal though, was probably bringing laden plates of food to Katey so she could avoid the swipe counter. In the evening, we headed to the Dudley Co-op, which was unusually sparsely populated this Thanksgiving (only two co-opers remained on campus). We raided the leftovers fridge, rationalizing that the food would go bad anyway, and ate our fill of roasted beets, tomato-pepper hummus, sourdough bread, and homemade deep dish pizza. Later, we celebrated the end of the day with cheap champagne and roasted marshmallows and chocolate in Christine’s room in Dewolfe. The final day of break was spent (briefly) Black Friday Shopping, wandering around the Harvard Art Museums, and letting Katey buy the obligatory cannoli from Mike’s Pastry and cookie from Insomnia. Both, she declared, were “not too bad”. This Thanksgiving was a lot of bouncing around campus and talking to people I hadn’t seen in a long time, and spending precious long hours with close friends. Often, it’s not the food that makes the holiday, but the people you eat it with. Presenting the spread. Notice how the central location of the au gratin reflects its central importance. There is something about lasagna-like layers of tender, thinly-sliced potatoes held together with a gooey blend of Gruyère and sharp cheddar and crowned with the eternally coveted “cheese crust” that makes me brawl with my relatives. The best part about this crispy and chewy miracle is that in just a single bite you get about 7 potato disks stuck together with creamy cheese. You know the feeling you get when you run your knuckles over a piece of corrugated cardboard? That “bumpbumpbumpbumpbump” is exactly what a bite of potatoes au gratin feels like in your mouth as you chew–and it is the most satisfying thing in the world. Waiting in line for anything during the holiday season is never any fun, but waiting a month for Trader Joe’s Gluten Free Stuffing Mix to arrive was well worth the wait. With all of the mix in the warehouse totally sold out in the first two days, I had to place my name on a waiting list. I was so excited when I finally got the call that my stuffing had come in. Stuffing makes the turkey, and the turkey makes Thanksgiving, so for those of us who eat gluten free, stuffing has never tasted so good! This savory, all-natural dish is easy to make, requiring just 6 tablespoons of butter and 3 cups of water. 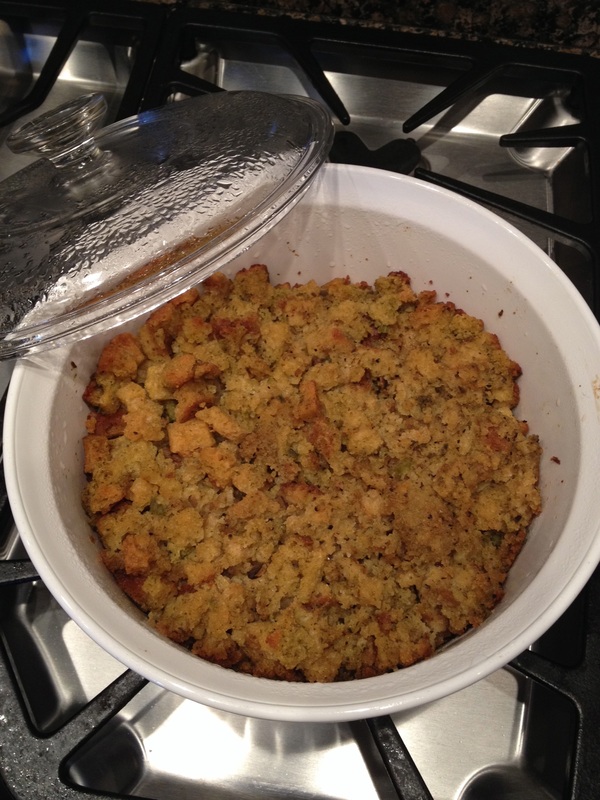 Trader Joe’s Gluten Free Stuffing Mix made my Orlando, Florida Thanksgiving the best yet! My ideal Thanksgiving would be one of only carbs: pasta, stuffing, potatoes, and desserts. Turkey is great and all, but I want to have as much room as possible for the incredible homemade manicotti that my dad makes each year. And the most-parts-bacon-some-parts-bread stuffing that my mom makes. 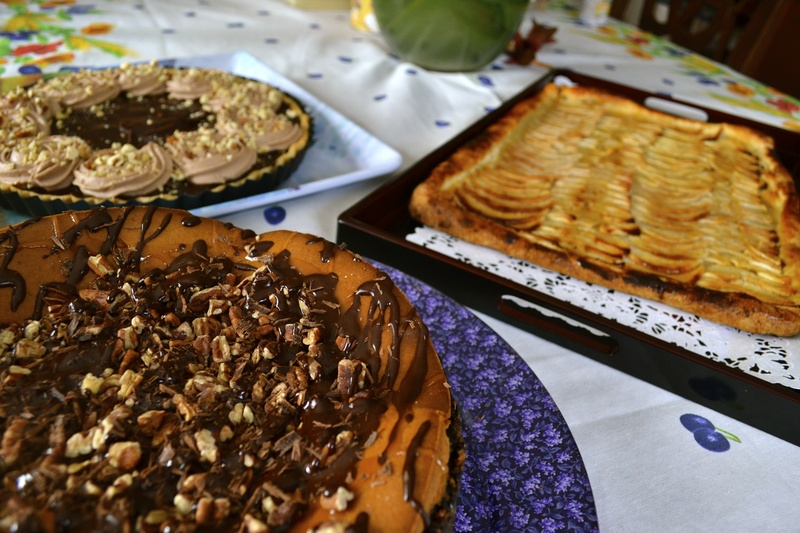 And a piece of pumpkin turtle cheesecake, apple galette, and chocolate hazelnut tart that I spent all of Wednesday making. In the Piccione house, even an American holiday can’t escape some Italian flare, and that flare isn’t plain pasta with tomato sauce. It’s handmade manicotti, crepes with perfectly herbed ricotta-and-mozzarella filling all prepared by Papa Piccione. We usually need at least a half-hour between each course to let the pasta settle so that we can fully enjoy the traditional Thanksgiving fare! No one’s ever hungry for dessert, but that’s never stopped us from eating it anyway. Next Why Did the Turkey Stop Eating? He Was Stuffed!